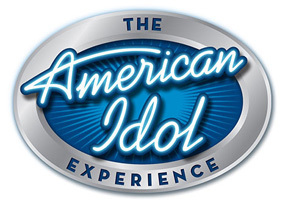 With American Idol season back in full swing, I thought it would be the perfect time to do a Blast From The Past featuring my famous Excuse Me, Pardon Me, Get Out Of My Way story. I easily become addicted to this show each and every year. I’m not so big on the whole audition thing…although I never miss a minute. I already have my favorites, as usual they won’t even make it through the first week “Hell Week” in Hollywood. Then I will pick a few more favorites, one may make it to the top 10, the others will be on Dr. Drews Celebrity Rehab in 2010 and I will be the only one that even remembers them. I will have it be known, I did call Ruben Studdard the winner after seeing his audition….Ruben who? I get tickets each season right around the time #4 gets the boot. I have actually only gone once, Season 3…barely. X amount of tickets are given out for each show. It states on the ticket that if you are unable to attend to call the number provided. My guess would be so they actually know what kind of turn out they will have and be prepared. Taping starts at blah, blah. Get there by blah, blah. Be in line by blah, blah. I was so excited to go. A) I love the show. B) It would make for a nice afternoon out. We were right on time to leave the house, with minutes to spare. For sure we would be there by blah, blah. Of course that would be too easy. Just before we left I had a full blown panic attack and it was a doozy. We finally got out the door, but not by blah, blah. We were indeed running late. Not a problem I thought, I’ll just call the number on the ticket and tell them what happened, they will understand and save us a seat. Alright, humor me…it sounded logical at the time. I called back a bit later and gave the nice guy an update as to how close we were getting. As if he freaking cared!!!!! Seriously, is that not a great story? You know it is! What's Left Of My Head is powered by	WordPress 3.1 and delivered to you in 0.114 seconds using 28 queries.